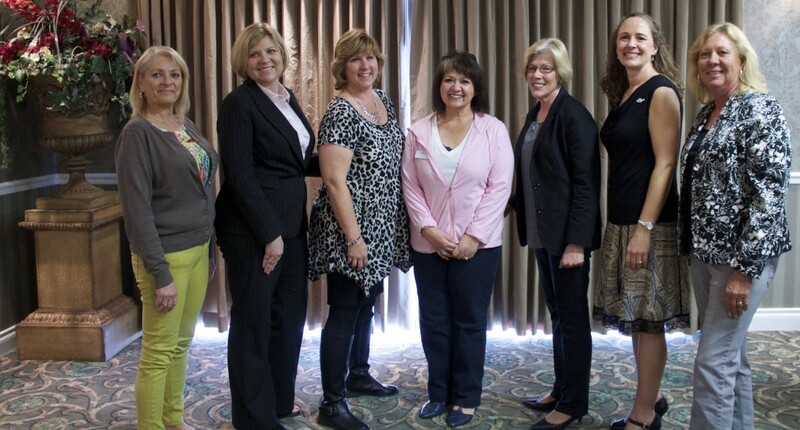 ST. GEORGE – It was the day of the woman at the Utah Business Women monthly luncheon in St. George Tuesday as five local businesswomen were recognized for their roles in helping garner recognition for women in business. 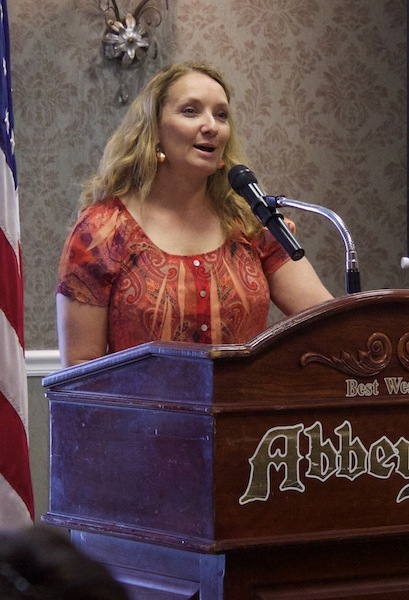 Approximately 30 people gathered for the luncheon Tuesday at the Best Western Abbey Inn to recognize four “Women of Achievement” and to recognize the “Woman of the Year” for 2015. 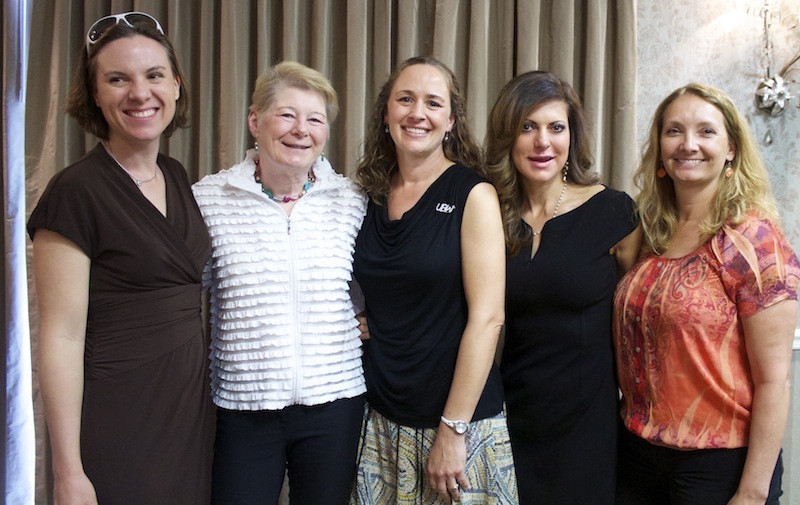 Utah Business Women promotes the interest of women through service opportunities, leadership experience, personal growth, civic participation, political information, friends and fun, according to the organization’s website. 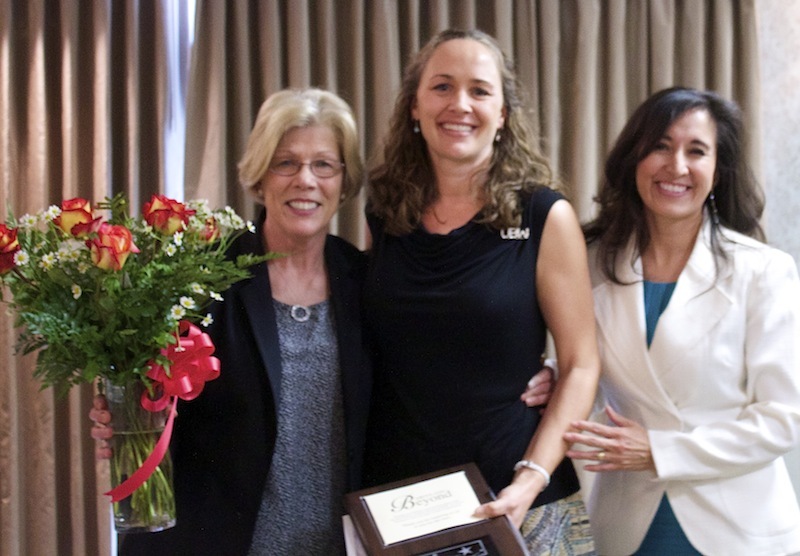 Dr. Erin O’Brien, president-elect of Dixie State University’s Faculty Senate, received the Woman of Achievement Award in the area of academics/cultural arts. Among her many accomplishments and associations, O’Brien has served on the Utah Academy of Sciences, Arts and Letters since 2006. O’Brien has received two federal grants to get Dixie State University students involved in local research, and she’s mentoring several students’ research on the endangered dwarf bearclaw poppy, a plant found only in Washington County. “Erin is involved in anything that will make STEM (science, technology, engineering and math) fields more appealing to girls and women,” O’Brien’s UBW biography said. 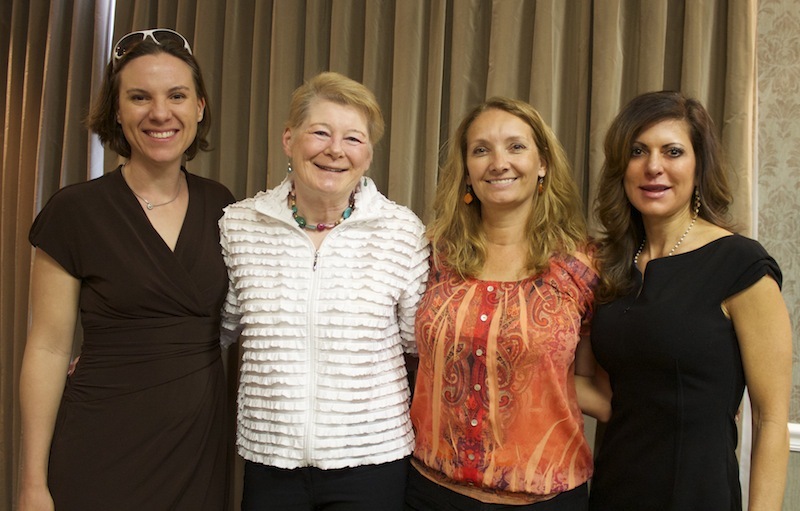 Stephanie Martini received UBW’s Humanitarian/Philanthropic Achievement Award. Martini founded the Three Corners Women’s Giving Circle. This organization supports women in need in the three corners of Southern Utah, northwest Arizona and Mesquite, Nevada, through the strength of collective giving and a strategic grant-making process. According to the organization’s website, Three Corners Women’s Giving Circle has awarded $11,000 in grants to three nonprofit organizations: The Assistance League of Southern Utah, The Erin Kimball Foundation and the Learning Center for Families. The group’s goal is to raise $50,000 to give out every year, she said. 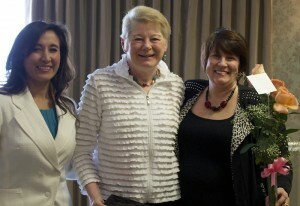 Carol Hollowell received an award for leadership/public service. Hollowell is the executive director of SwitchPoint Community Resource Center in St. George. The center opened its doors in August 2014 with the concept of housing homeless individuals and also helping them improve their futures. Within the first three weeks SwtichPoint was in operation, the organization helped 23 individuals find employment, nine individuals find housing, and five people reunite with their families. Most recently, SwitchPoint was acknowledged for helping a family of six, including newborn triplets, with housing and material needs. Hollowell shared a story of how she kept passing a man in a wheelchair sitting on the side of the road and, one rainy day, pulled over to find out his story. He had been homeless for more than five years because he couldn’t get a state identification card, she said. Hollowell spent the remainder of that day helping him get a copy of his Social Security card and other necessary records and then helped him get into a local housing facility. Paula Temple received the Woman of Achievement Award in the profession/entrepreneurial category. Temple is the founder of ZACI Yoga Barre and Certification. She received a bachelor’s degree in mathematics at age 21 and started teaching math at Dixie State College. After 10 years of teaching at Dixie, Temple moved to Arizona to pursue a doctorate degree. While there, she was introduced to yoga and fell in love with it. Temple became certified as a yoga facilitator and then furthered her education to become certified in yoga instruction so she could teach others to teach yoga. She taught calculus by day and studied yoga at night. Since returning to St. George, Temple has opened two businesses: Yoga Barre, in partnership with Donna Childs, and the Zion Academy of Certified Instruction. In less than two years, she has certified more than 20 yoga instructors and has taught yoga to hundreds more. 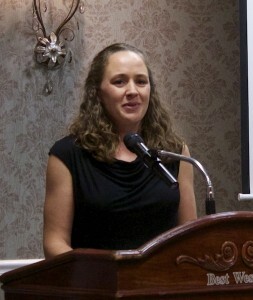 Annie Howell, of Watts Construction, was named Woman of the Year. Howell’s family was on hand to see her receive this prestigious award, including her mom, her dad, her husband and her son. Her father, Watts Construction owner Doug Watts, was asked to share a little bit about his daughter and employee. 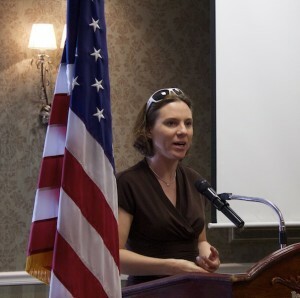 Howell serves as the comptroller and office manager for Watts Construction. Her responsibilities include all of the accounting, human resources, project management, marketing and office operations. Howell started working for the family business in 1999. Watts credits his daughter for keeping Watts Construction from failing during some very tumultuous years for the construction industry. Howell is also a member of UBW and serves as the organization’s treasurer. Her son Ian Howell was very proud of his mom at the luncheon. “It’s amazing that she got this award,” Ian Howell said. 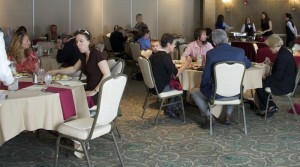 The luncheon and awards ceremony were sponsored by Southern Utah Insurance. Rhonda was born and raised in Whittier, California. She moved with her family to Southern Utah in 2004, looking for a slower-paced life style. She is married with two adult children. She began her writing career as a newsletter editor for a variety of companies and non-profit organizations. She has written for the Dixie Sun News and The Spectrum, and published her first book in 2013 titled "Eighty Days of Faith". When she's not writing she enjoys time with her family, reading and selling "stuff" on eBay.